Fassinating Fassbender - A Michael Fassbender Fan Blog: Prometheus North American Box Office Update! Prometheus North American Box Office Update! As I was hoping, Prometheus is looking to be a winner with an estimated $60 million opening weekend after collecting north of $22 million on Friday! This is EXCELLENT for an a) Sci-fi film, and b) R rated film! Ridley Scott and 20th Century Fox can breathe a little easier now! 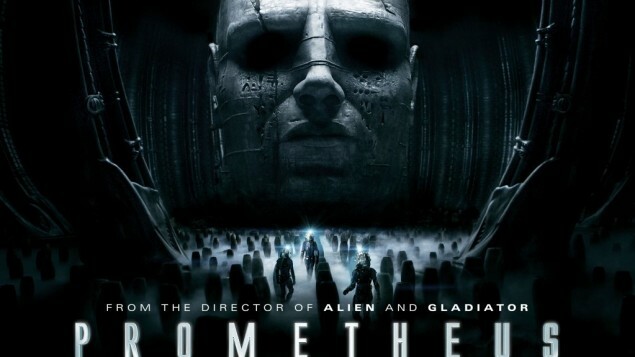 Go see Prometheus this weekend, you will enjoy it! Monday afternoon Update:According to Box Office Mojo, the 3-day weekend North American total is $51 million! So far, it has earned $91.5 million in foreign box office. This is good news! Sunday morning Update: Prometheus is on track for a $50 million weekend! I started out with earning over $21 million on Friday, then it earned an estimated $16 million on Saturday. The Sunday receipts will be estimated later in the day. What this adds up to is that Prometheus will be in second place behind the animated family film, Madagascar, and still earn higher estimates as an R-rated sci-fi horror than the studio originally speculated! Saturday morning Update from Deadline: In fact Fox execs kept predicting no more than a $30M-$35M weekend result in a blatant attempt to lower expectations. But Prometheus in North America debuted to an overperforming $3.561M in midnight screenings at 1,368 locations, shooting its Friday gross to $21M and a minimum $55M weekend. And the actioner was on fire when it opened internationally a week earlier. Coming into Friday, Prometheus already has amassed $51M from overseas territories that opened last weekend and posted strong opening day numbers out of Australia, Korea and Taiwan, according to the studio. Domestically, the tantalizing combination of Alien‘s Ridley Scott as director and Lost‘s Damon Lindelof as screenwriter, plus Fox’s Avatar-savvy teaser marketing that also kept Prometheus under wraps, really motivated moviegoers. So the film already is a big winner no matter which pic tops Friday. As fans and supporters of the film AND Michael Fassbender, please keep coming back here to FF this weekend to post your comments about the film, it's box office tracking, and about Michael in his role as David. With the box office looking this strong, that sequel which will possibly feature David, looks like it could happen! Also, watch this thread at Deadline Hollywood for regular updates and I will be posting them here as well! This is excellent news. The one thing Michael was missing on his resume was a box office smash. Sure, XMFC was a summer blockbuster, but it actually underperformed compared to the other films in that franchise (yet made up the difference in strong DVD sales). This will prove to big studios that Michael's name attracts audiences... especially when the media is lauding him as the best thing about the film. YES! This means that Fassy will be getting a bigger check in the future, possibly... hopefully so that he can keep his production company going strong. I went to see Prometheus yesterday and it was REALLY good! Michael definitely stole the scenes he was in. No wonder it’s doing so well in the box office. It was definitely worth the extra money to see it in 3D too! @anon 9:43AM - Prometheus is going to be a MUCH bigger blockbuster than XMFC...which means there will probably be a sequel! @Dionne - I really hope he uses this to support his production company, but I suppose it will depend on how well his first film with the company does. Great news, glad it's doing well! I saw Prometheus yesterday and thoroughly enjoyed all of it! I haven't see any previous Alien movies, so didn't have any preconceived expectations. Was just looking forward to seeing Michael and Irdis, and they were great! I thought it was a bit rushed at times, would've enjoyed learning more about some of the other characters. But overall, I enjoyed it and look forward to watching it again soon, maybe skipping the 3D next time, and I'll be buying the DVD when it comes out for sure. Yikes, Prometheus had a big drop from Friday to Saturday which means word of mouth isn't as strong as I would have liked. Madagascar 3 actually went UP from Friday to Saturday, which allowed it to beat Prometheus for the #1 weekend spot. A 22% drop from Friday is not a "big drop". The film is going to earn about $50 million this weekend, the same weekend that another 3D movie, a family oriented animation which is also playing at 862 more theaters than Prometheus. Focusing on the positive, the film is doing fine for its genre. I'm sure Ridley and 20th Century Fox are pleased. Those who liked the movie will surely see it again, or are glad they saw it this weekend. Not surprising that a family movie showing in MANY more theaters came out on top. Prometheus' per screen average was great. Of course I'd hoped that Prometheus would have come out on top but I'm very happy with how it did considering it's R rating. I'm glad they didn't tone it down to get a PG-13 rating. As long as the narrative is that Michael was the best thing about Prometheus, that's all I care about.